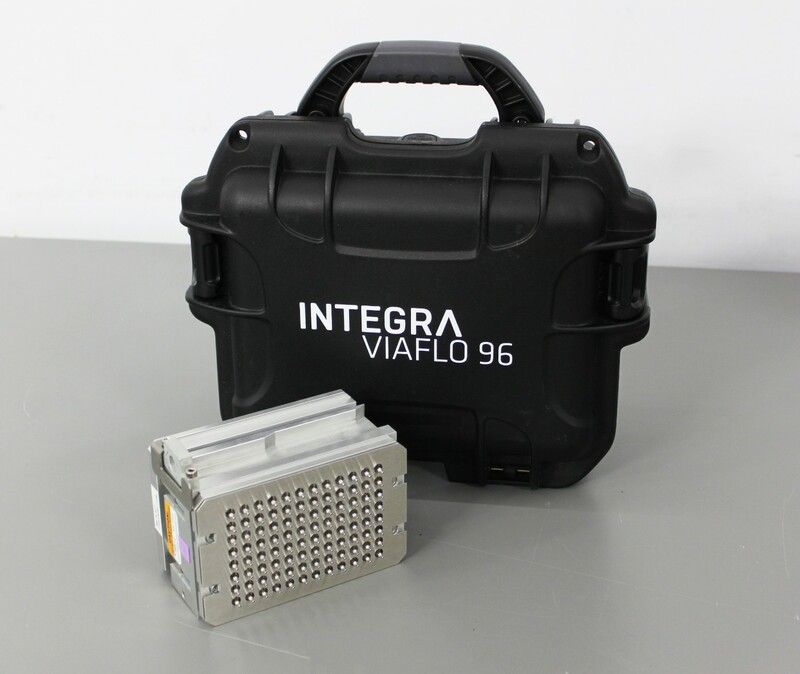 INTEGRA VIAFLO 96 12.5μL 96-Channel Automatic Microplate Pipetting Head 6101 . New Life Scientific, Inc. Excellent Condition. Guaranteed with a 90-Day Warranty. with a hard shell carry case for safe transport and storage. pipetting head, entering a ready state for sample transfer. don’t hesitate to contact us about adding one or more of these heads to your purchase.